When submitting orders from Shopify to Amazon FBA, be sure that your SKUs from Shopify match the SKUs FBA has for your items. If they don't match, you can map them to each other in Order Desk in one of two ways. 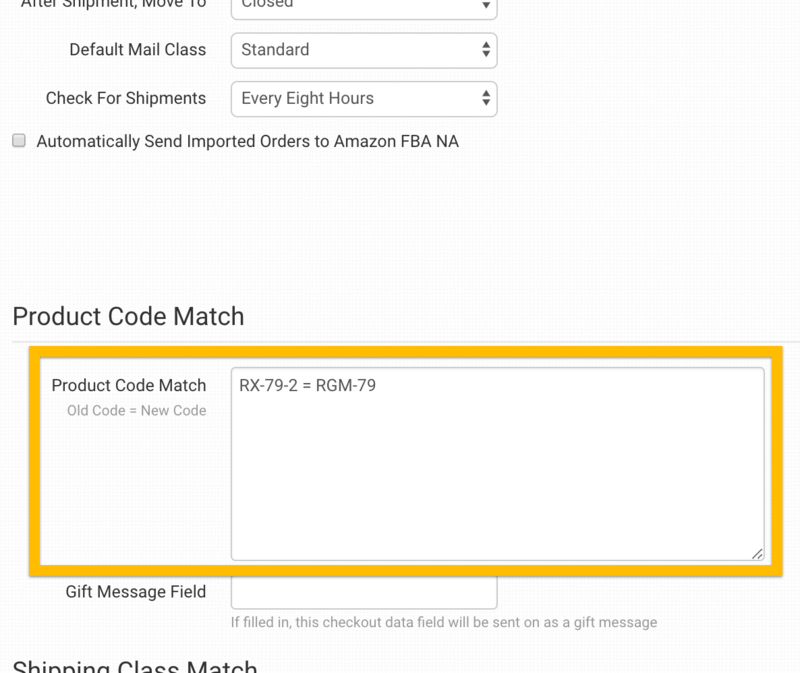 You can match the codes to each other in your Amazon FBA settings or you can use a metadata field called code_replace in your inventory items. To match product codes from Shopify to Amazon FBA, navigate to your FBA settings by clicking on Amazon FBA under Integrations in the left sidebar. 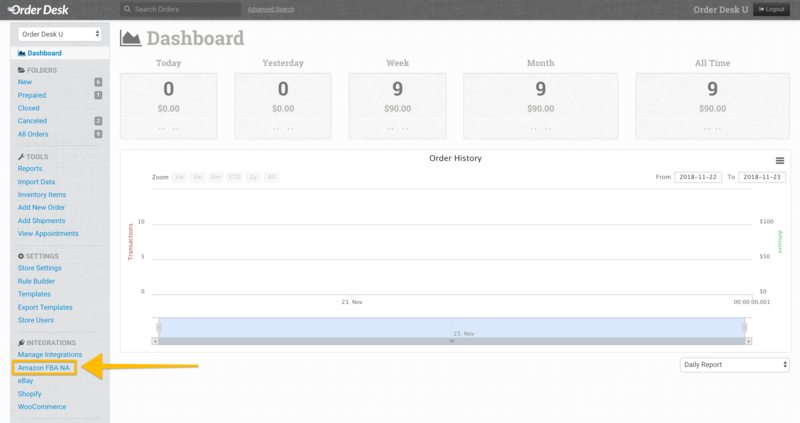 Scroll down to the Product Code Match box. 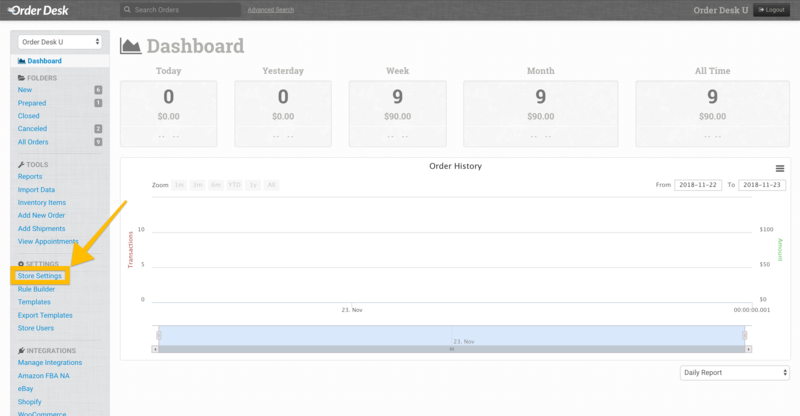 You can match the SKUs here, where the first SKU is your Shopify SKU and the second is your FBA SKU. Set one match per line. If you have bundled products in Shopify, use Product Code Match to match the SKU of the bundle to the SKUs FBA has for each item in the bundle. 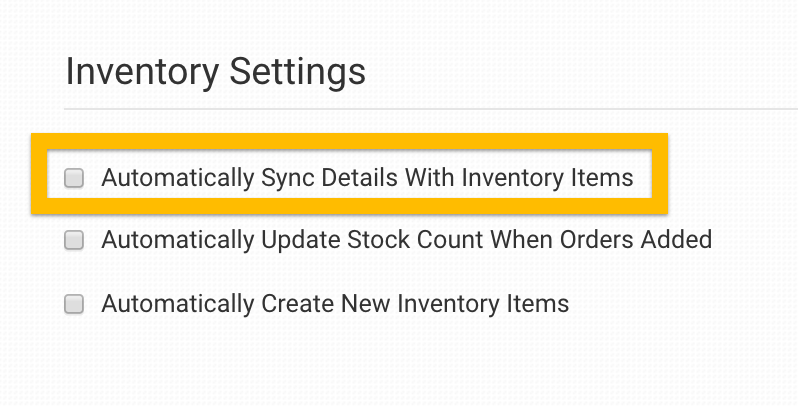 As orders come into Order Desk, the items in the orders will sync with your inventory items already stored here, and any Shopify SKU that matches an item with the code_replace field in it will be replaced by the SKU set in the metadata. For more details, including how to set up code replace bundles, see the Code Replace guide.